Family law consists of many factors related to domestic relations and family related issues: Marriage, domestic partnership, annulment, divorce, child custody, paternity, adoption, death and many other issues involving the family union. With family law comes many legal documents and figuring them out can be frustrating. If you are in the process of getting married, getting divorced or even planning for retirement and your future, the legal documents related to these issues can be complex and daunting. Hiring a family law attorney in Northeast Philadelphia may just be your best bet to understanding the law that pertains to your situation. In this article and in the coming weeks, we will focus on specific legal documents as they pertain to an aspect of family law. These articles are aimed at guiding you on specific parts of family law but you should always seek legal counsel when an issue arises that involved binding and legal documents. You want to make sure you have all the facts and that you are protected at all times. If you are getting married for the second time, or if this is your first (and hopefully, only) marriage, sometimes it is important to keep your assets separate from each other. One way to keep your premarital assets (and debts) clearly separate is by agreeing to a prenuptial agreement before you get married. Entering into a prenup doesn’t mean you don’t trust the person you are about to spend your life with but sometimes your assets need to be protected in the event the marriage dissolves. It can also protect you from taking on your spouse’s debt should the marriage end. 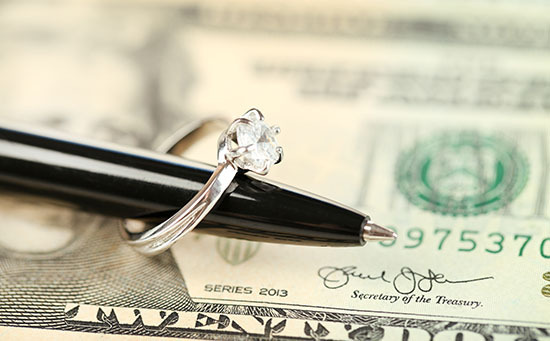 Prenuptial agreements should be clearly written and signed, voluntarily, by both parties. It should provide a disclosure of the financial obligations of both husband and wife. While discussing a prenuptial agreement is not necessarily the most romantic of topics, they have become increasingly important for couples today. If you are planning to live with someone and not get married, having a cohabitation agreement is an important document also. It acts as a prenuptial for those who are not legally married and is important because, just as in a prenuptial, if the relationship dissolves, dividing the assets becomes much easier. Many couples think if they don’t get married, it keeps separation easier. In fact, these types of arrangements still bring about legal issues such as separation of property, palimony, or child custody and support issues. It is important, whether getting married or just cohabitating, to consider all consequences that can occur should the relationship end. You don’t want to think these things can happen to you, but no one is ever certain of the future. When signing a prenuptial both parties involved should retain their own family law attorney to review the agreement and offer advice. The law offices of Martins Mill Legal Center can help you with your prenuptial agreement and make it easy and simple so that you can focus on more important things like starting your life together. If you have been in an accident, talk to us before the insurance company. The term personal injury also incorporates not only the pain and suffering someone has, but their out of pocket expenses for such losses. Copyright © 2010 - 2019 Martins Mill Legal Center. All Rights Reserved.